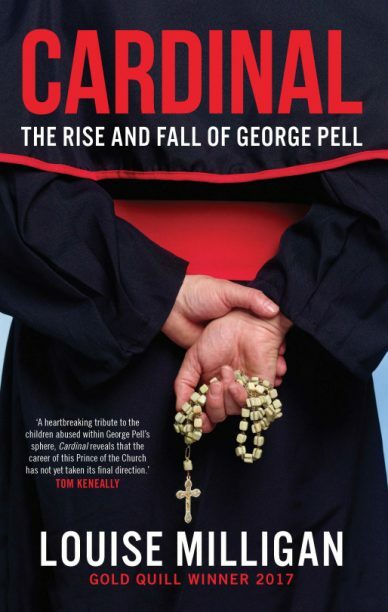 Melbourne University Publishing (MUP) is taking ‘all reasonable measures’ to withdraw Louise Milligan’s Cardinal: The Rise and Fall of George Pell from sale in Victorian bookshops, following the Victorian Police’s decision to charge Pell for historical sexual assault offences. The ebook edition of Cardinal has also been withdrawn from sale. MUP published Cardinal in May, and ordered a reprint later that month following extensive media coverage and ‘through the roof’ sales.